During Sunday afternoon’s game, the Blackhawks announced that the organization has signed goaltender Mac Carruth to a one-year contract – for the rest of the 2015-16 season. Carruth, 23, was drafted by the Hawks in the seventh round (191st overall) of the 2010 NHL Draft. He has spent most of this year with the Indy Fuel of the ECHL, posting a 12-7-2 record with a 2.30 goals against average and .923 save percentage with one shutout in 21 games. In six games with Rockford in the AHL, Carruth is 0-2-1 with a 3.32 goals against average and .882 save percentage. Rockford has been riding Michael Leighton for the majority of this season, with Mark Visentin serving as the IceHogs’ primary backup. Leighton, 34, has a contract with the Chicago organization, while Visentin’s deal with with Rockford only. Why? I don’t get it, why have him take up a contract spot when he’s already in the system?. Is Visentin hurt or Leighton hurt? I haven’t seen Visentin in the box lately. My guess is this is just injury protection for playoffs. . . Yes, I realize he started the year fifth on the depth chart. But he had an AHL contract…I can’t see a reason to sign him to an NHL deal unless he’s the black ace come playoff time. Visentin has been hurt. With the Hawks playoffs coming up soon. I would anticipate, the hawks will call up Leighton as the number 3 goalie like Rantta was last year. In that case, Rockford needs to have a goalie that they know will be there. So signing Carruth means Dent can count on having him for the rest of the year. 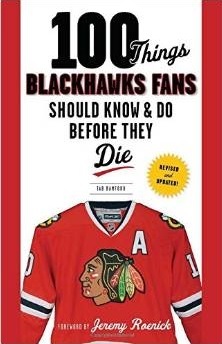 You are likely dead on, the Hawks will need to bring up a 3rd goalie and Leighton will likely be that guy. The Hawks minor league goaltending is a bit of a joke. Visentin hasn’t shown much and behind him there is really a back hole. The Hawks haven’t put any emphasis on young goaltending.